Yumble Kids July 2018 Subscription Box Review + Coupons! 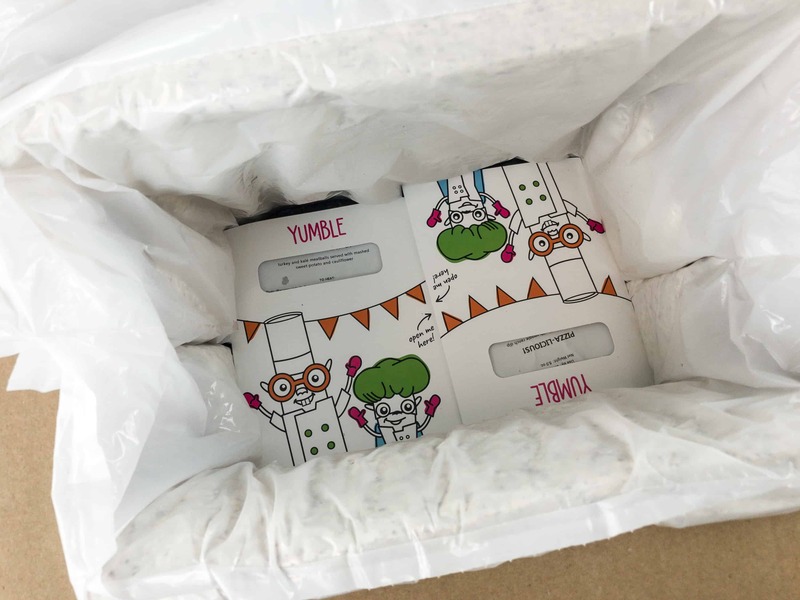 Yumble is a weekly meal subscription service for kids. 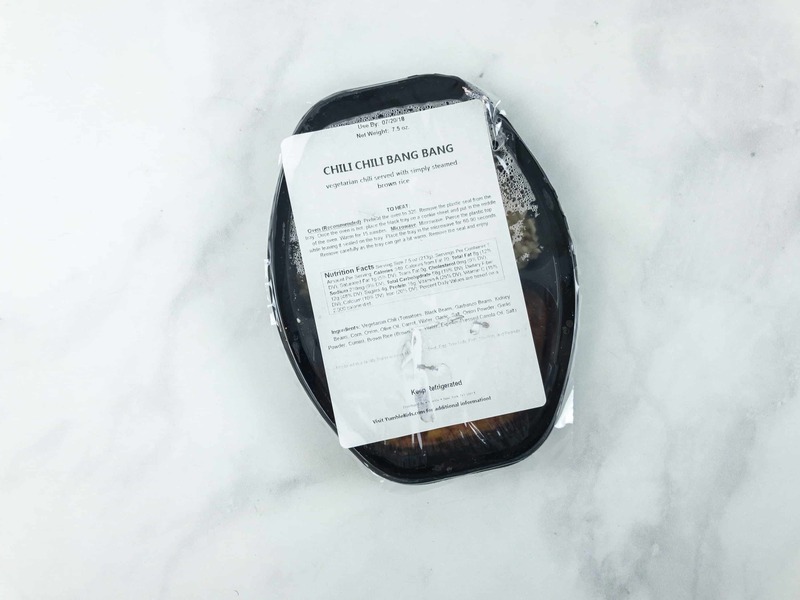 They deliver pre-prepared meals suited to the specific tastes, nutritional needs, and portion size requirements of children. To make things more fun, they also include activities in each box! All the meals are pre-cooked and need either minimal heating, or no heating at all. You can customize exactly what meals you receive, or have Yumble just automatically send meals. 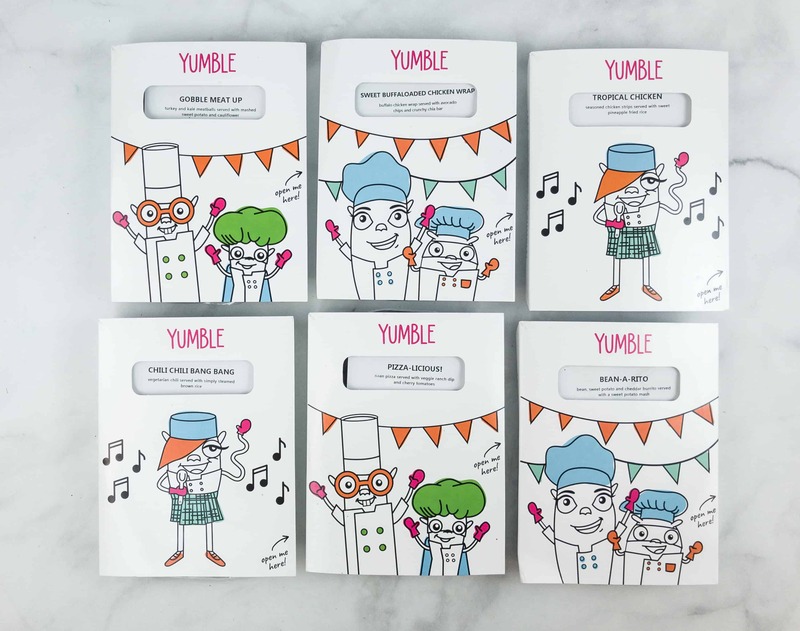 Yumble meals are designed to be healthier versions of “kid food” and Yumble claims if your child is exposed to at least two weeks of Yumble food, they’ll pretty much forget they ate anything else. 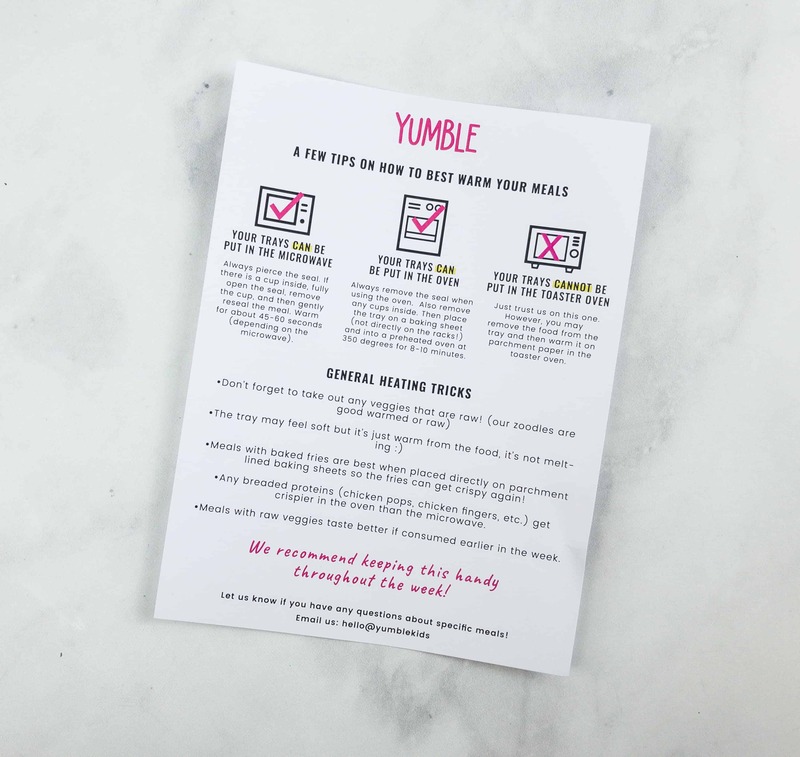 Yumble offers meal plans with six, twelve, and twenty four meals per week – this is a review of the 12-meal per week box! 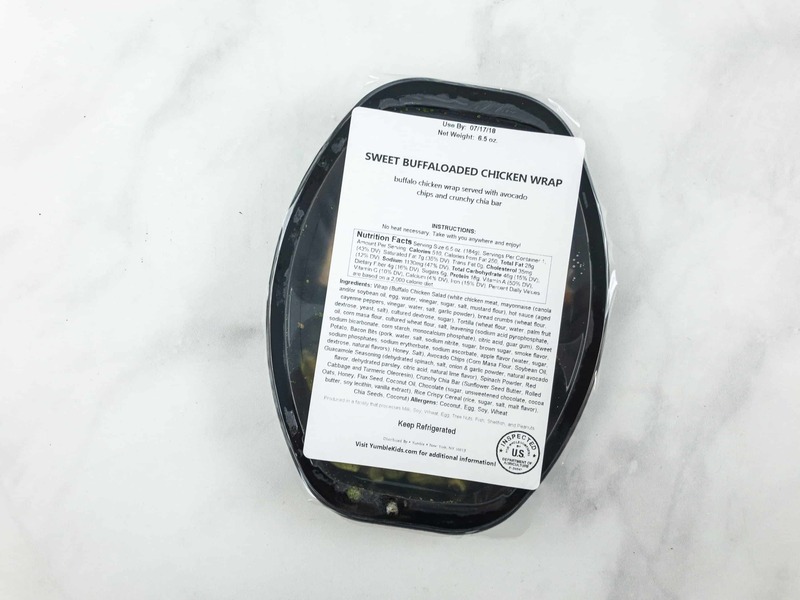 Individual meals range from $6.99 to $7.99, and shipping is always free! 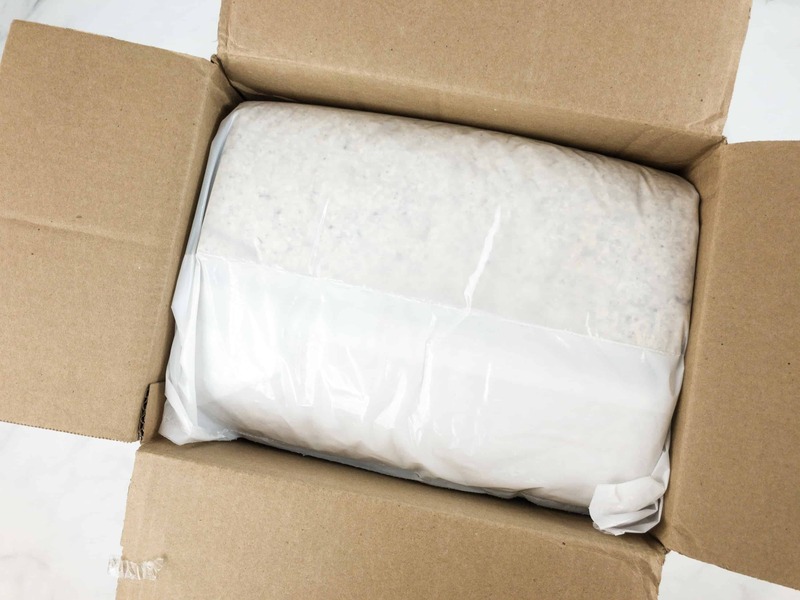 To keep the meals fresh, they ship it in an insulated box packed with frozen gel packs. DEAL: Get 35% off your first box! Use coupon code TIMELIMITED35. 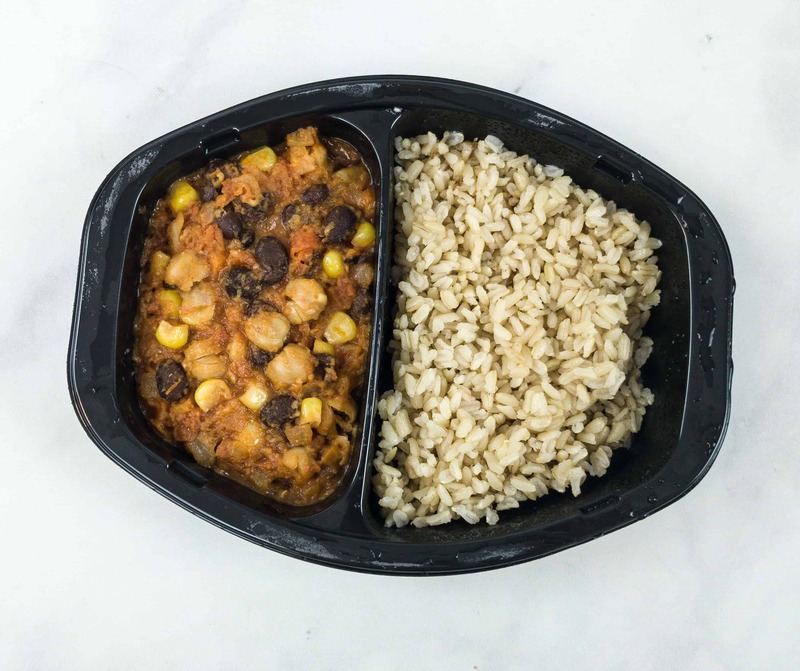 Meals are packed separately in heatable trays. 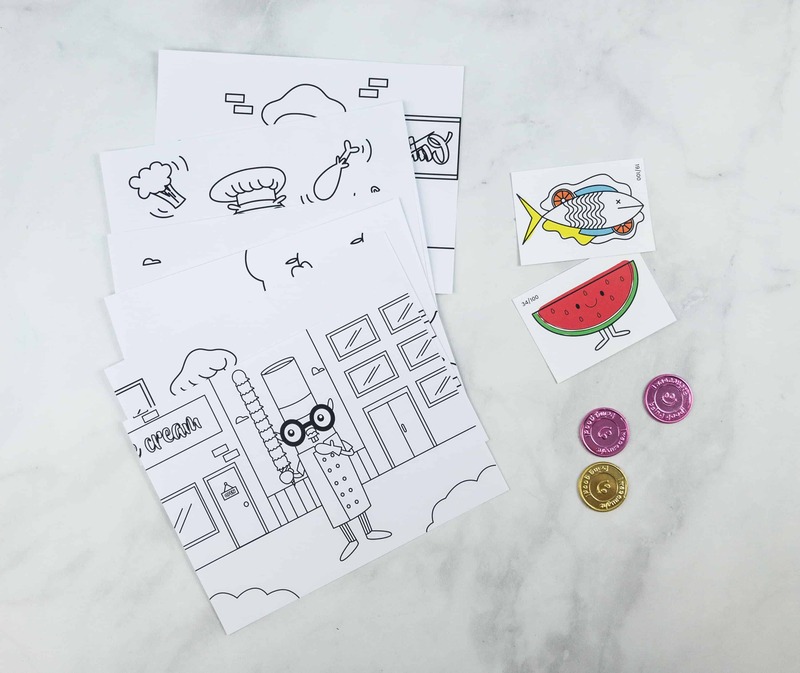 Each tray comes in a cardstock sleeve featuring the cute Yumble chefs. 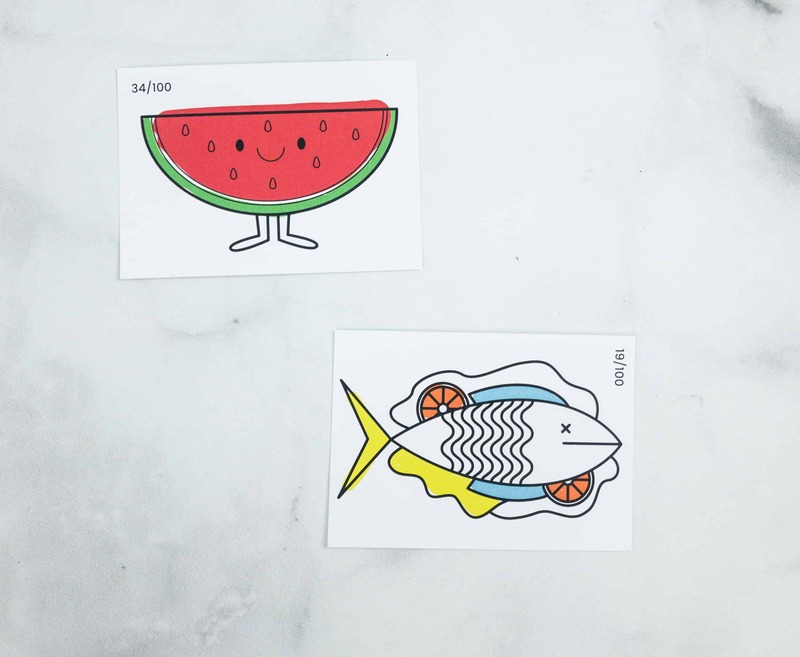 Printed on the inside of the sleeves are masks your kids cut out and color! 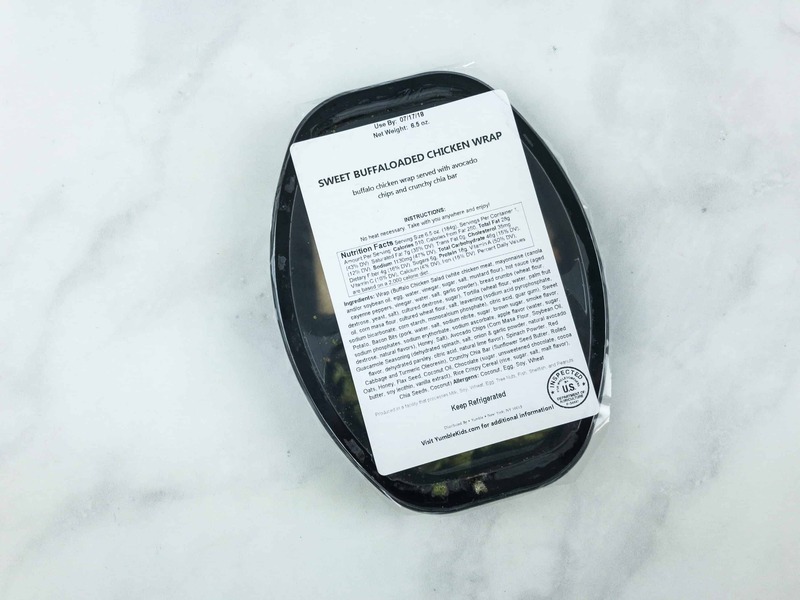 Each meal arrives in a sealed, disposable tray with a label on top. The label has heating instructions, nutrition info, an ingredients listing, and a best-by date. Some meals get heated up entirely, and some have you remove items like sauces, fruit, and chips before heating. 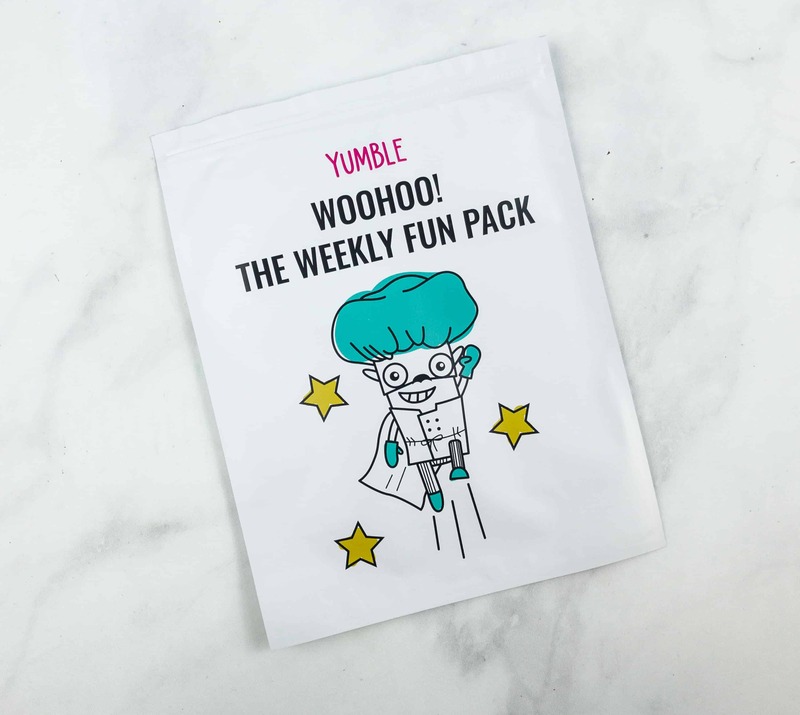 Every Yumble box comes with a Fun Pack! All the items inside The Weekly Fun Pack! As their collection grows they will gain a sense of pride. 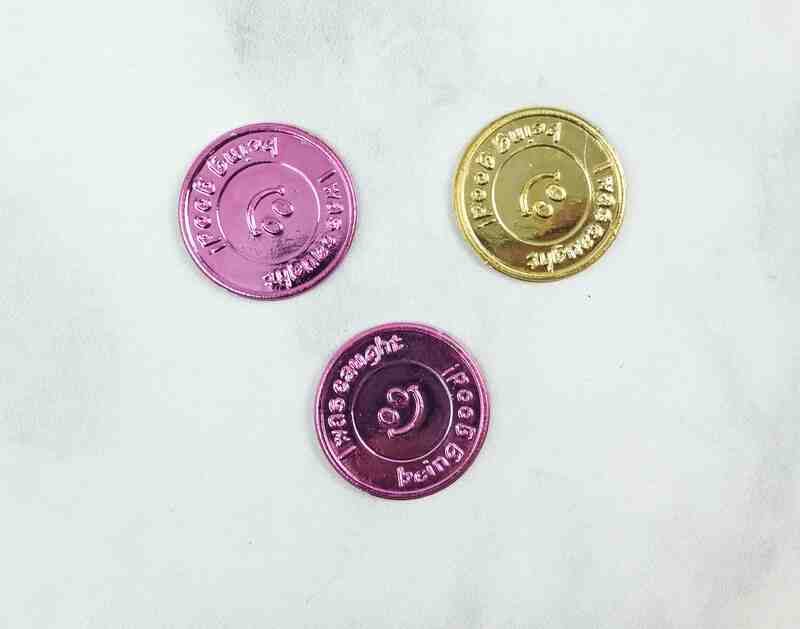 Be sure to set clear goals so they know what they have to do as they earn their coins. Yumble Cards. These are collectible cards. There are 100 different designs in the series. They give us 2 cards for every box. 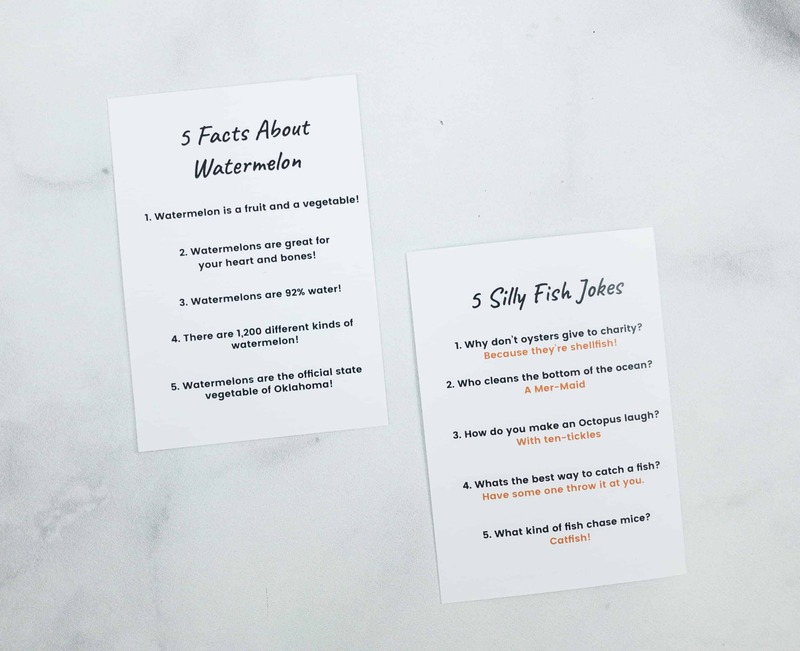 The back of the cards contain some fun factoids, jokes, or trivia — these had facts about watermelon and some silly fish jokes! This card provides some tips on how to best warm your meals. You can heat Yumble meals in either the microwave or the oven, but some items that do best in the oven. 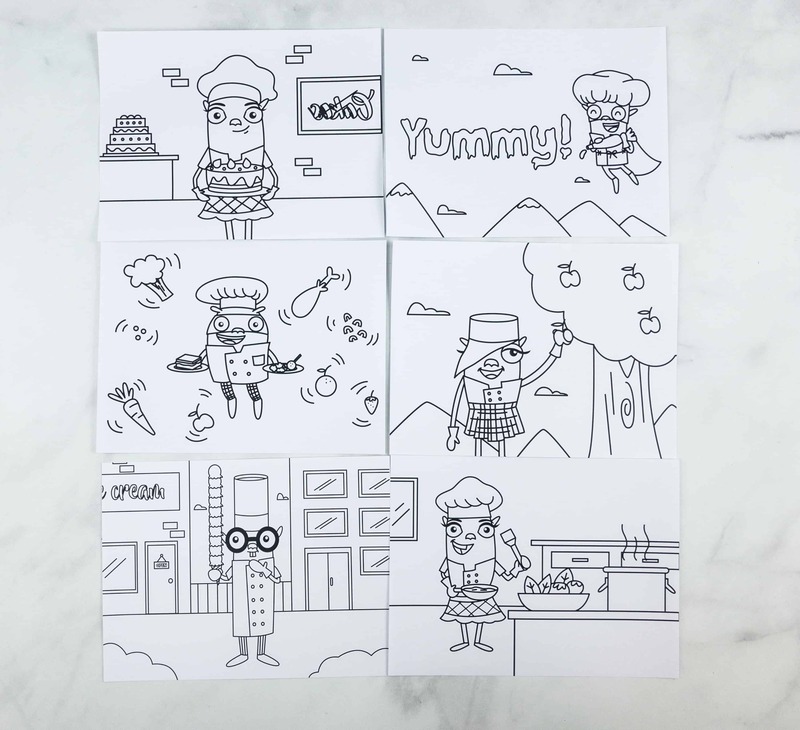 These coloring sheets are a great activity for kids too! Chili Chili Bang Bang Vegetarian Chili Served with Simply Steamed Brown Rice. This meal is so delicious, that your kids won’t even notice that it contains zero meat at all. It’s chock full of veggies, beans, and spices. And even though it’s called chili chili bang bang, it’s still mild enough for your kids to take on. It’s definitely a filling meal, which is rich in protein, fiber, and iron! I tasted this, and I thought the chickpeas were really nicely incorporated into the chili — a good way to get kids to try them out! 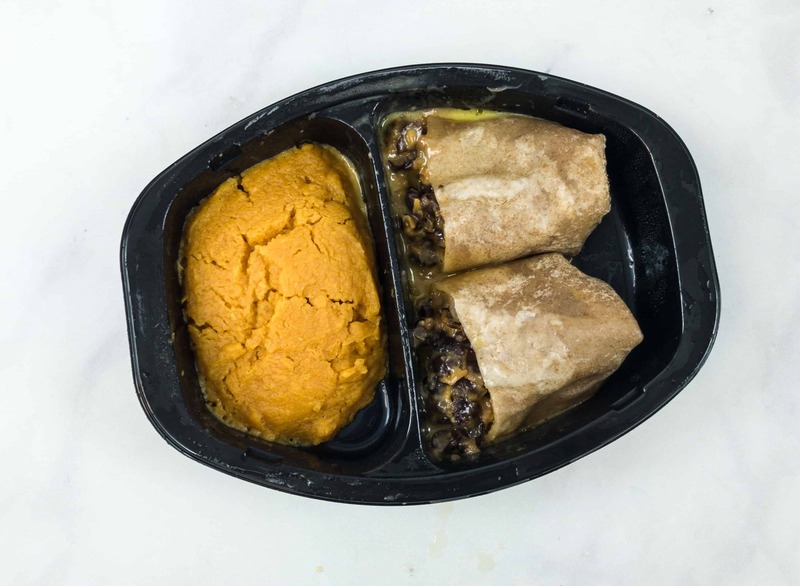 It’s a protein-packed meal made from whole wheat tortilla stuffed with a mix of baked black beans, and all natural cheddar cheese. It also comes with sweet mashed potatoes for additional nutrition. What a yummy way to get some good protein! 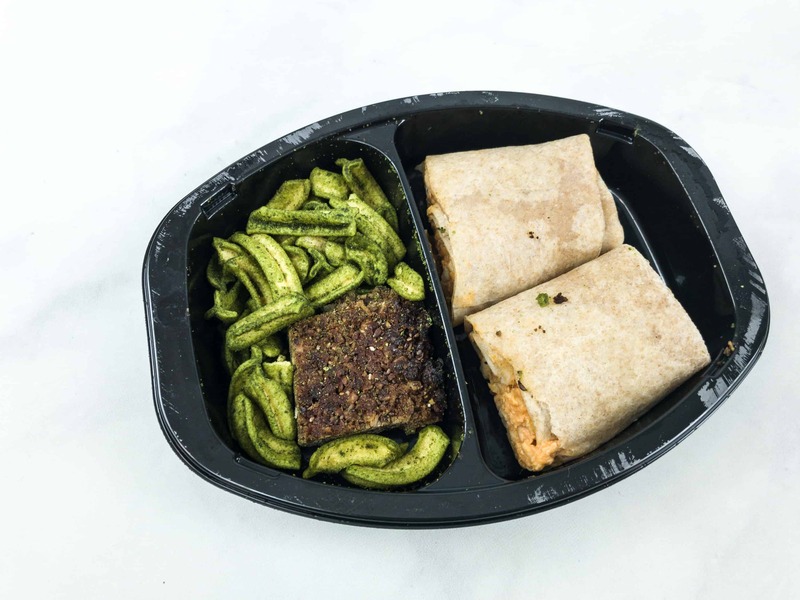 This delightful meal consists of whole wheat wrap stuffed with juicy bite-sized pieces of all natural buffalo chicken and bacon bits, avocado chips, and crunchy chia-flax bar. The avocado chips is a great alternative to other chips as it adds unique flavor and protein that is essential for your growing kids! 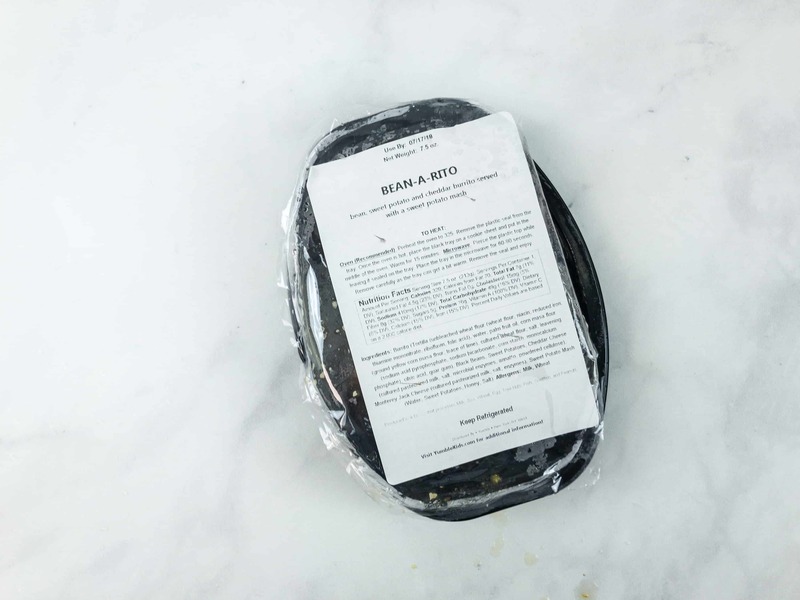 The buffalo spice is pretty mild, so it’s good for a young palate. The chips have an unusual dense texture, but the taste is nice. 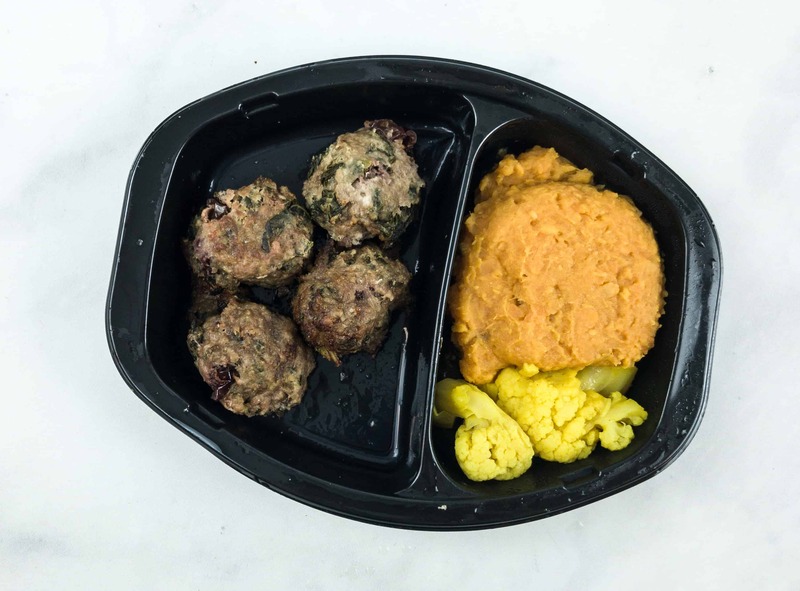 This meal has everything: tender and flavorful turkey meatballs, sweet mashed potato, and turmeric popcorn cauliflower! It’ll help boost your kids’ immune system, as it is packed with anti-oxidants, Vitamin C, and anti-inflammatory nutrients. 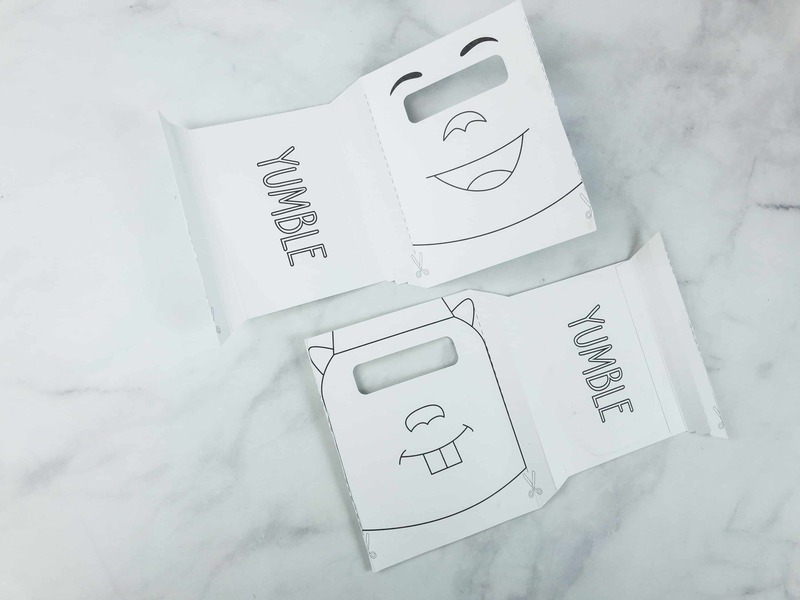 Yumble Kids makes mealtime more fun for kids and easier for parents! They impressed us once again this month with the selection of fresh, healthy, and delicious food tailored to the needs and the palate of kids. The food is prepared and seasoned properly, and The kids really enjoy the little extras, too — the fun-filled activities, trivia cards, and reward items. 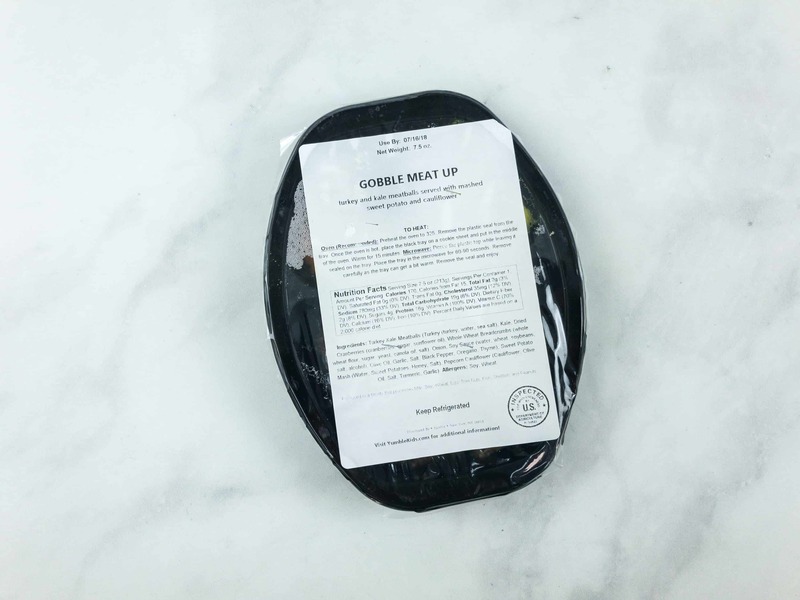 We’ve enjoyed every Yumble meal we’ve had so far, which is a very impressive record for any meal subscription! 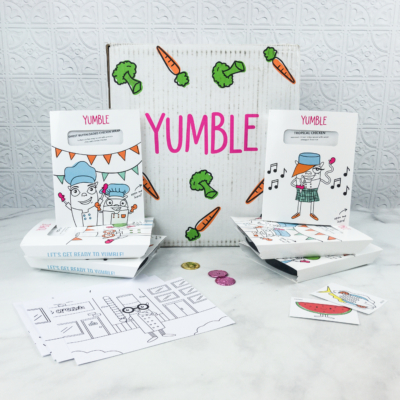 Have you tried Yumble Kids subscription box yet? 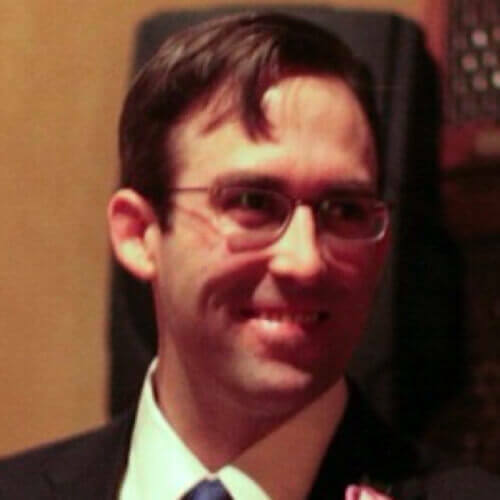 Visit Yumble Kids to subscribe or find out more! 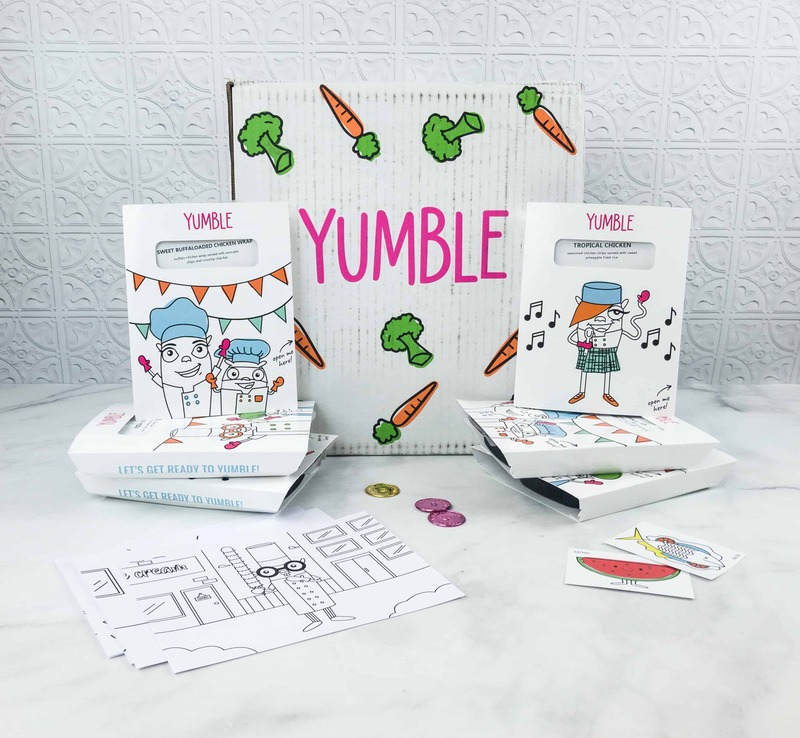 Yumble is a weekly subscription service that delivers prepared, healthy, and delicious kids meals right to the doors of busy parents. Children have specific tastes, nutritional needs, and portion size requirements. Every meal is cooked with love and the menu is tailored to suit their tummies. Get 35% off your first box! Use coupon code TIMELIMITED35.